Are you loving the crisp morning air and the beautiful afternoons? We know we are! But what happens when the days get shorter and darker and all you want to do is curl up on the couch? You make a hibernation space, of course! Here’s how you can make a relaxing place to rest in your home. Light it down. Lighting is the first part of creating ambiance in the room. Your living room switches should have dimmers so you can avoid the bright, fluorescent glow of normal lightbulbs. 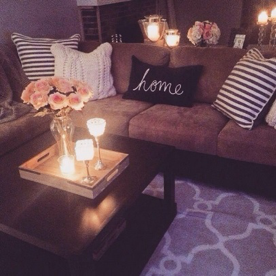 Another way to set the tone of the space is to add candles of all shapes and sizes. The glow of the candles will make you feel right at home. Layer it up. Blankets, pillows, and more pillows! 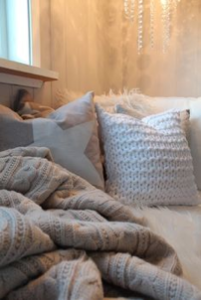 There’s nothing that says relaxation quite like a soft blanket and pillows. Yes, they’re for comfort but they also add dimension to the space. Try to find pillows with fun patterns and designs so when you’re not curled up with them, they can be on display! Paint it on. Warm colors on the walls will make a world of difference in your space. A wall of deep red or painting the entire room a neutral brown or yellow can have a psychological effect on your mood – making you feel more relaxed. Not ready to commit to paint? Bring the same color palette into the room with curtains. Cover it all. Find a big, soft rug so when you mosey from the kitchen to your favorite seat, your feet will thank you. It’s best if the rug is in the same color scheme as the paint or curtains, adding warmth in a different way. Also, did you know that rugs can literally keep warmth in your floor? An added bonus! 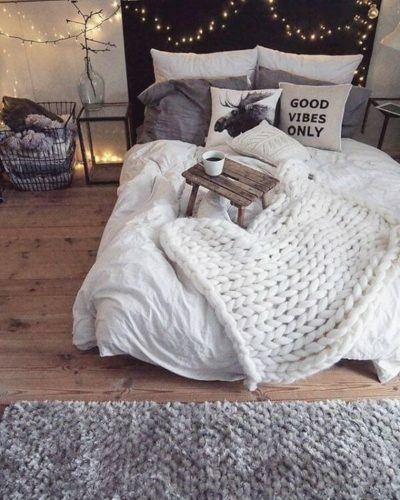 If you’re looking for more inspiration to make your home nice and cozy in preparation for the Midwest winter, check out our Pinterest page! Coastal Vibes in the Midwest. Yes, it’s Possible.